Opening its doors in February 2015, Dragon Bowl is more than an up-market Chinese Zi Char restaurant, offering contemporary Cantonese cuisine in a comfortable, modern setting. With a wide variety of options on the menu, at various price points, Dragon Bowl restaurant attempts to differentiate itself via its quality service and cuisine. Ambience at Dragon Bowl restaurant is modern and elegant, with clean lines, white walls, contemporary furnishings, and touches of crystal. 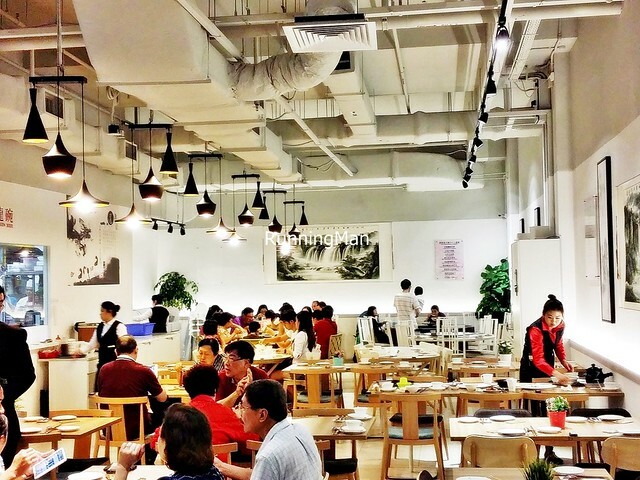 The open interior lends a feeling of sophistication and space, but can also get rather noisy if the place is packed. 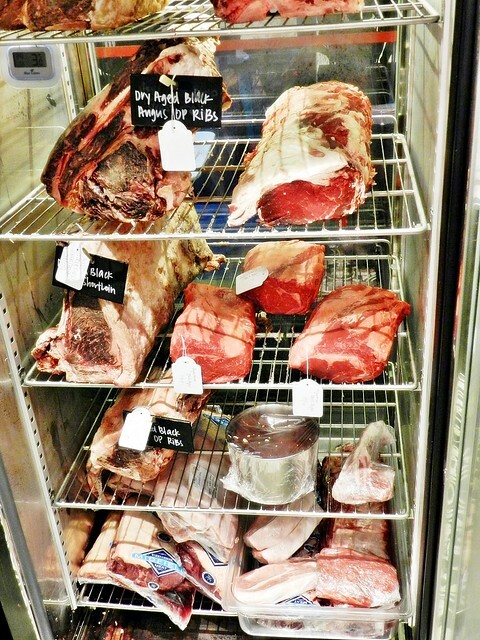 The refrigerated display case and large banners out front draw the eyes. Service at Dragon Bowl is professional, efficient, and courteous. I understand the staff are mostly former hospitality / hotel service personnel, which accounts for the pretty good service. They'll do their best to accomodate requests, are rather observant, attend to diners quickly, and are knowledgable enough to make astute recommendations. Food at Dragon Bowl is distinctly Chinese Cantonese, with a selection of other Chinese Zi Char style dishes, only modernised. Plating is modern contemporary and rather pretty, but Head Chef Leong ensures that traditional, comfort flavours are still present in each dish. 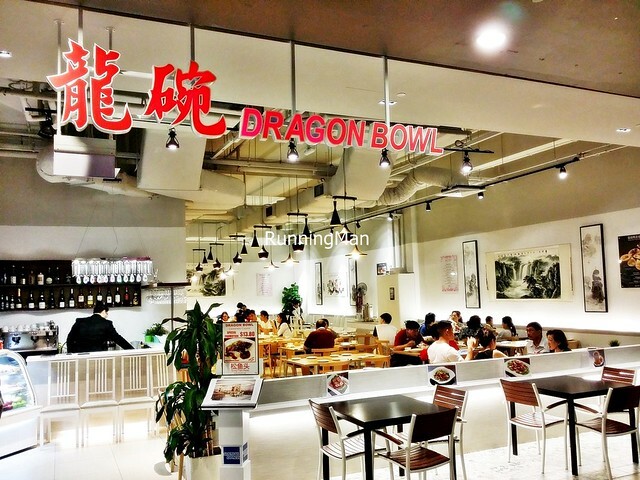 Portions are designed for sharing, and prices reflect the mid range market Dragon Bowl is going for, budget about SGD $27 per person for a meal here. Love how clean, inviting, and elegant the place looks. Ordering is done via tablets PCs, and staff will either show you how to order, or assist in taking your order should it be required. 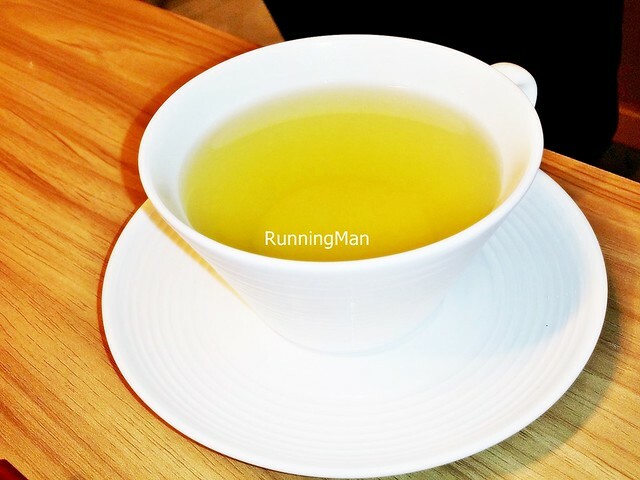 The default beverage / tea served here is a rather light, but refreshing, Green Tea. Unusual choice, but it works! 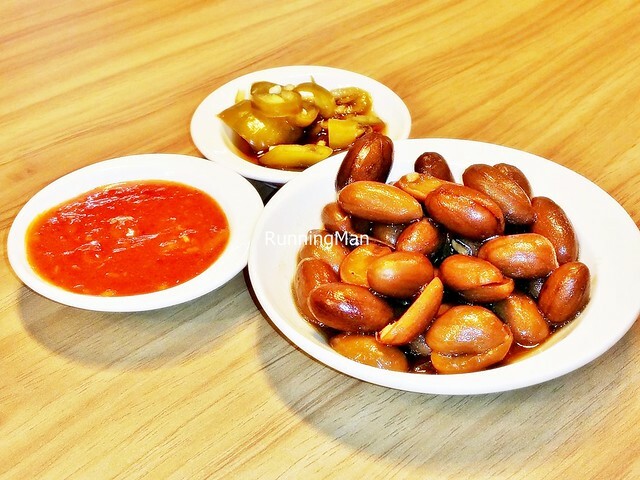 The Braised Peanuts And Chili are served shortly after you're seated. Love the soft texture of the peanuts, and the savoury salty flavour that makes it excellent when eaten with other dishes. 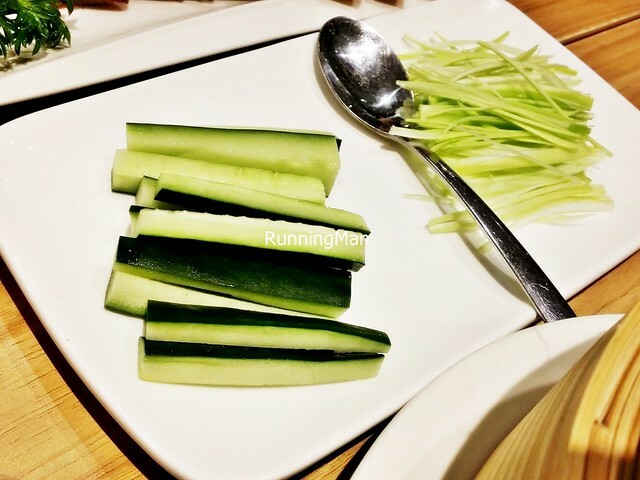 The Black Fungus & Cucumber has a slight spicy kick, and the difference in textures between the crunchy cucumbers and chewy black fungus is great! 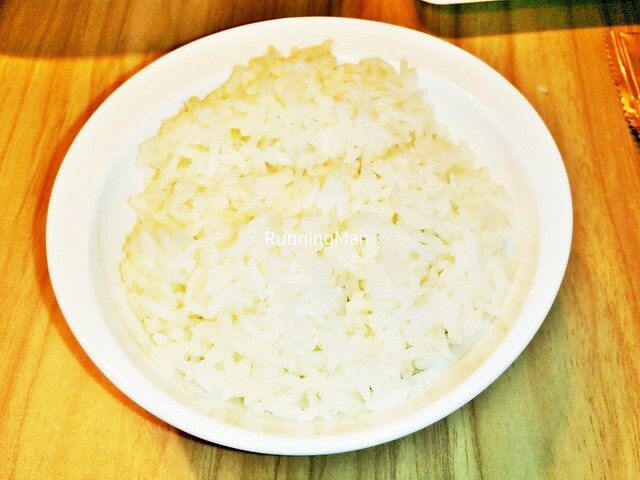 I felt the White Rice here is rather sub-standard, being more firm in texture, and not as fluffy as I like. Personally, I'll rather order noodles over this. The Cantonese are known for their excellent soups, so this double boiled Pork Rib And Lotus Root Soup (SGD $49.80 Set Meal) didn't disappoint! 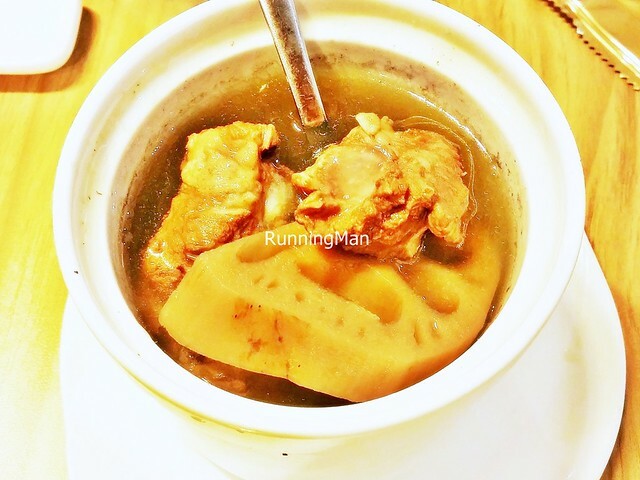 The pork ribs and lotus roots within are soft and tender, but the star is the fragrant soup / broth, tasty with savoury sweet flavour from the pork meat and herbs. Very drinkable, pure comfort starter to whet the appetite. 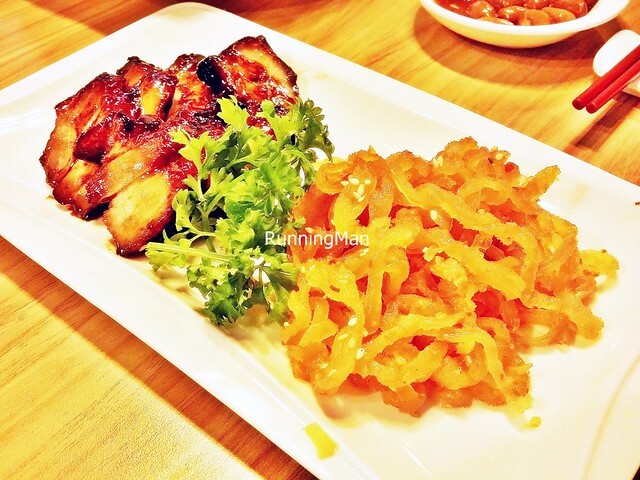 Had the Barbecued Meat Dual Mixed Dish - Marinated Jellyfish & Barbecued Pork With Honey (SGD $49.80 Set Meal), and just the Barbecued Pork With Honey (SGD $12) on a different occasion. The chilled jellyfish strips are crunchy with a good kick from the spicy sweet marinade, overall decent, but not worth ordering again. 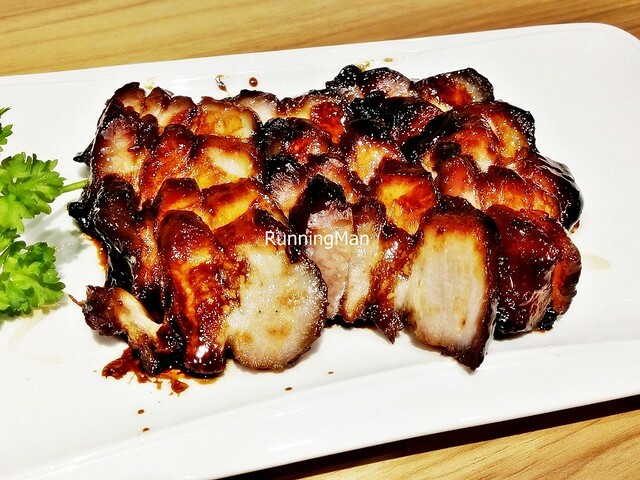 The barbecued pork was very good, nice char on the outside, tender and moist pork meat with silvers of fat, savoury and sweet but not overly so. Definitely worth ordering more than once! 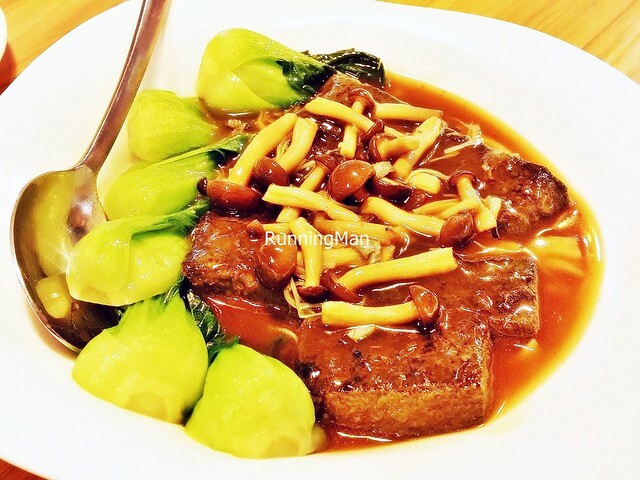 The Braised Kai-Lan With Dual Mushrooms (SGD $49.80 Set Meal) has large, crunchy kai-lan / Chinese kale / Chinese broccoli, along with tender, earthy shiitake mushrooms and lingzhi mushrooms. As a Cantonese dish, sauce features heavily here, in this case, a thick, savoury oyster and light soy gravy with a hint of sweetness. 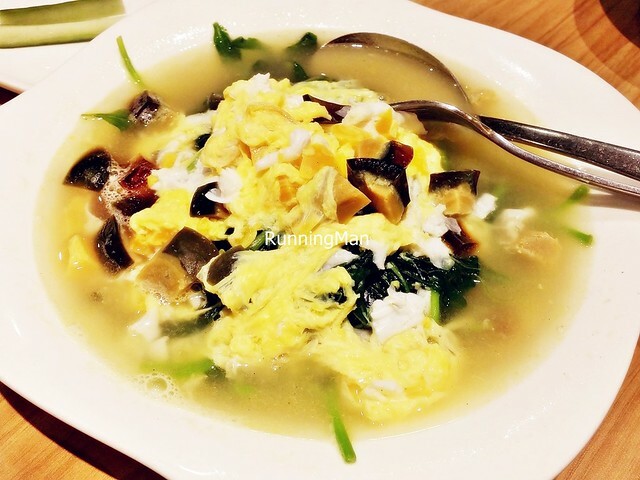 The Stewed Spinach With Trio Egg Soup (SGD $10.80) has a generous amount of fresh spinach and the 3 eggs (normal eggs, salted eggs, century eggs), in a light soup / broth. Pretty good, but as a dish, this wasn't as memorable as the other dishes. Decent, but not the best I've had, worth ordering if you're a fan of this dish. The Braised Home Made Beancurd With Bamboo Charcoal Powder (SGD $13.80) has a smooth, wobbly, soft texture to the dark coloured beancurd. 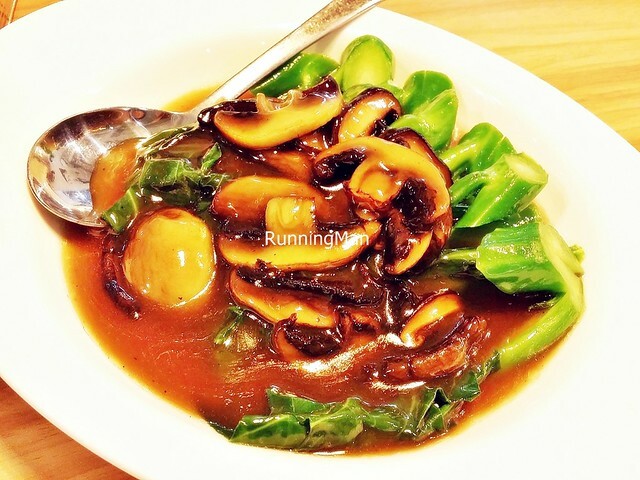 The chinese cabbage / bok choy, straw mushrooms, and thick, savoury sweet gravy complete this delightful dish. Straight forward, simple, delicious. 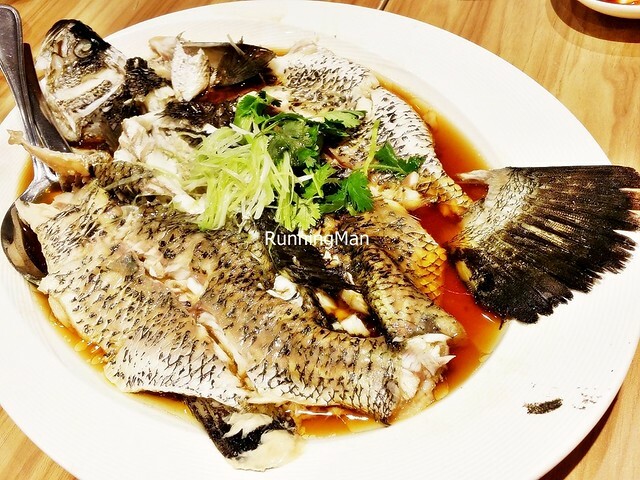 The Steamed Sea Bass Fish In Hong Kong Style (SGD $35.75) features a large, fresh, seabass fish, steamed with aromatics in a dark, savoury salty, soy broth. The white meat of the fish flakes off easily, coming clean off the bone. Very good for the price! 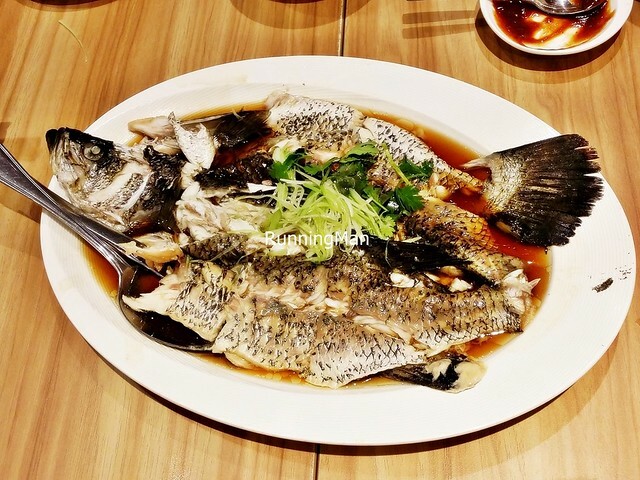 The Deep Fried Marble Goby Fish In Light Soy Sauce (SGD $49.80 Set Meal) tries to be great, but just misses the mark because of small details. 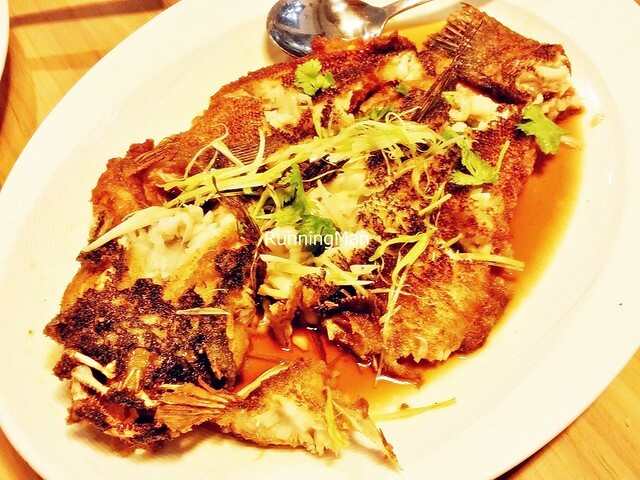 The fish is well fried and crisp, but the longer it sits in the light soy sauce gravy, the more soggy the skin gets. I also note a slight sourness to the flesh in some parts. At least there's quite a bit of fish meat, and most of the exterior still retains a nice crispy crunch. Overall, not as tasty as it looks, order something else instead. 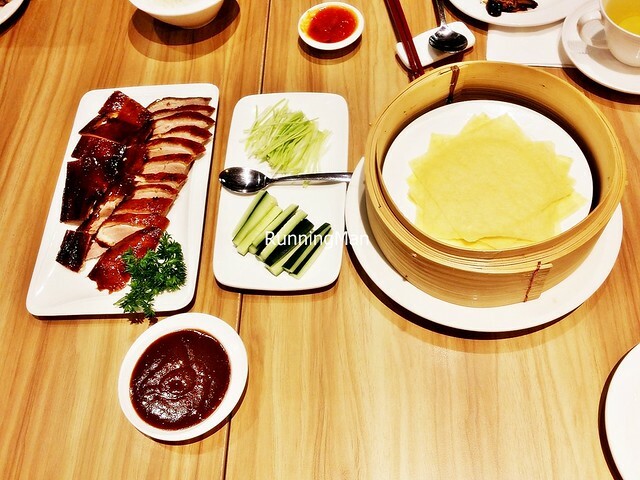 The Roasted Peking Duck Set (SGD $34 Half Duck Set Meal) features a trio of dishes. 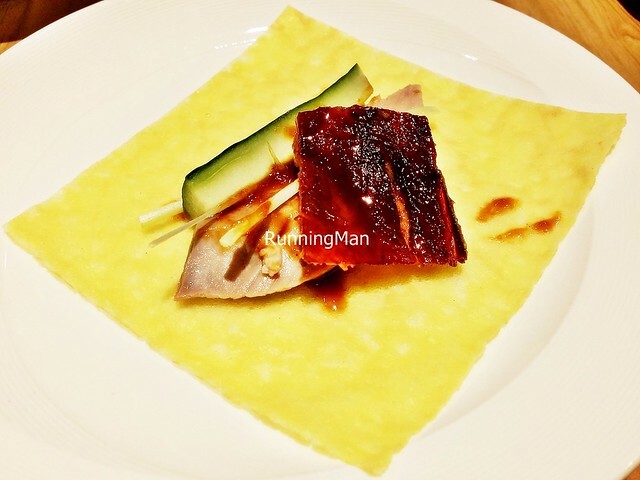 The Roasted Peking Duck itself is served with sliced duck meat and skin, Steamed Pancakes, Cucumber And Spring Onions, with all the ingredients supposed to be rolled together, dipped into the sweet sauce, and eaten. While this dish hails from Jing / Mandarin cuisine, the duck itself is roasted Cantonese style with 2 kinds of duck skin; a thin, crisp skin on the side, and the normal roasted, soft skin on the meat itself. 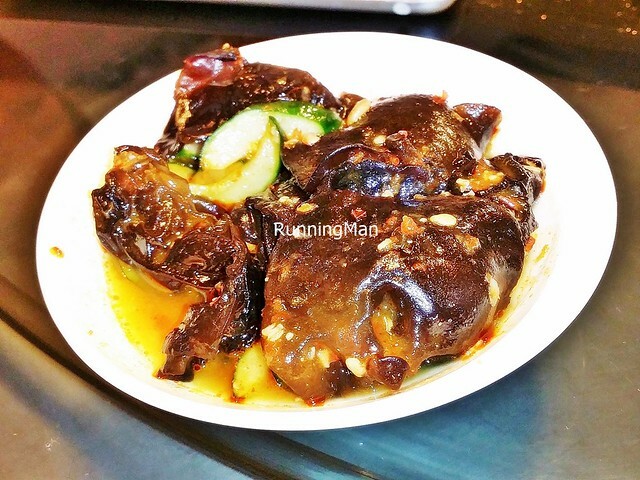 The meat is tender without any gamey taste, and overall, this is a good dish! The Salted Vegetables Duck Soup (SGD $34 Half Duck Set Meal) has a generous portion of odd duck parts, and pickled mustard greens, in a savoury, salty, light soup / broth. Opinion was divided, some of us loved the taste of the soup / broth, others felt it was overly salty. I felt this was very drinkable and well balanced in flavour, and actually had 3 bowls! 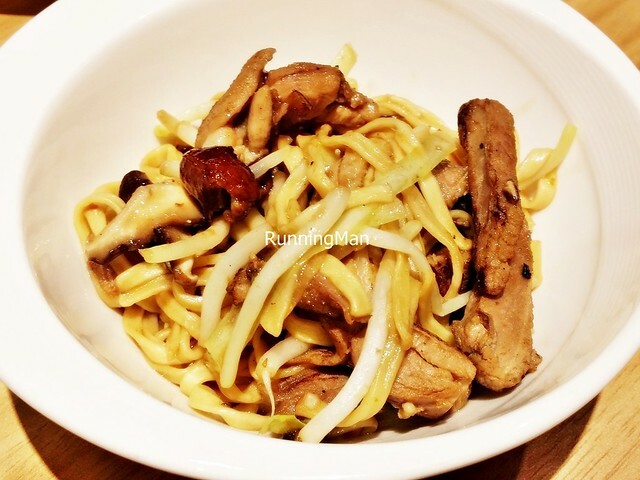 Loved the savoury, slippery Duck Ee-Fu Noodles (SGD $34 Half Duck Set Meal)! Stir fried with the duck and other aromatics, the noodles are infused with fragrant, meaty flavour. Very good! 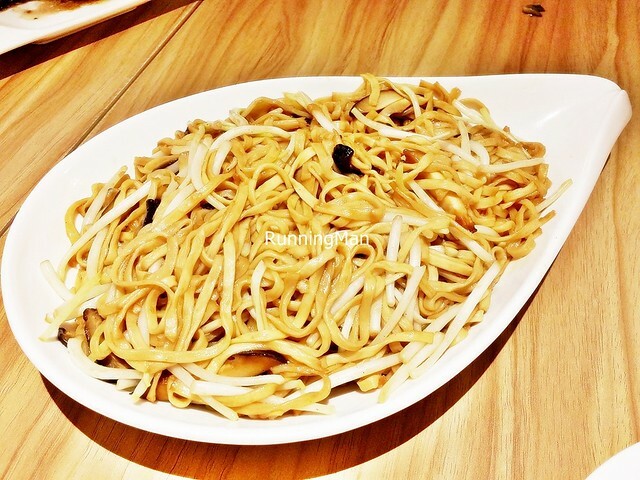 Update Oct-2015: The Braised E-Fu Noodles (SGD $12) are naturally quite good, with the slippery noodles having soaked up that wonderful, savoury salty, mushroom and light soy sauce gravy. The crunch of the bean sprouts provides a welcome contrast to texture, while the tender, soft, earthy slices of shiitake mushrooms lend good flavour. Update Oct-2015: The Braised Shredded Conpoy & Crab Meat In Minced Winter Melon Thick Soup (SGD $8) has that intense crustacean flavour from the fresh, deshelled chunks of crab meat. 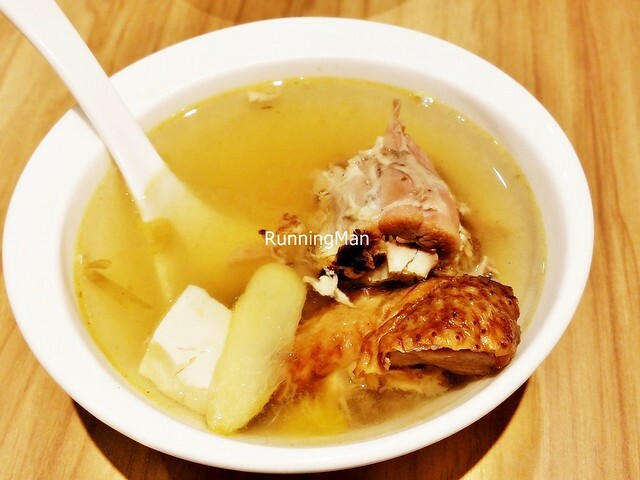 Along with the small cubes of winter melon, it lends a savoury sweetness to the thick soup / broth. Need to add a little vinegar to lift the overall flavour though. Warm and comforting! 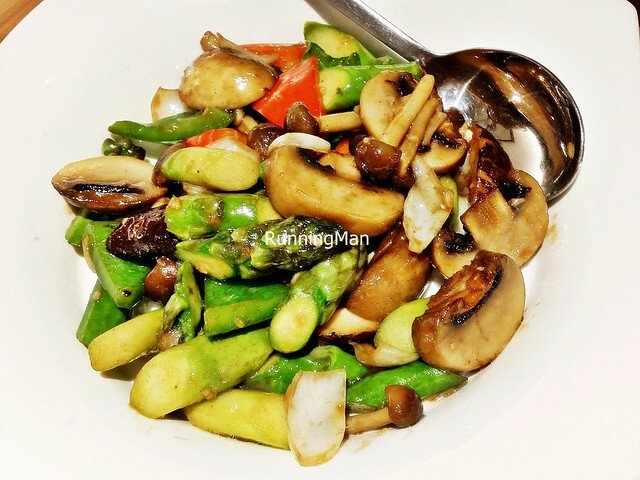 Update Oct-2015: The Braised Trio Mushroom Vegetables (SGD $13.80) has earthy, tender slices of wild button mushrooms, shiitake mushrooms, and straw mushrooms, along with crunchy red & green bell peppers / capsicums, onions, and asparagus. Chef's skill with the wok is evident here, each mouthful of vegetables carries the unmistakable smoky flavour of wok hei / breath of the wok. Great combination of textures, flavours, and colours. Highly recommended! 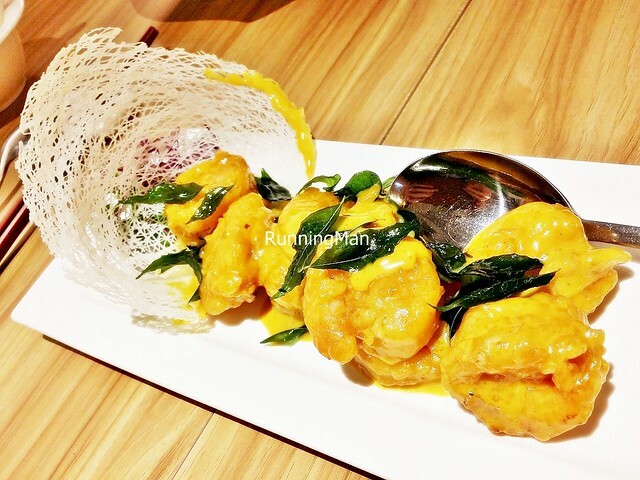 Update Oct-2015: The Deep-Fried Prawn With Pumpkin Creamy Sauce (SGD $22) features meaty, completely deshelled whole fresh prawns, coated in a thick, sweet and floral pumpkin cream sauce. The richness of the pumpkin taste comes through, yet doesn't overwhelm the naturally sweet flavour of the large prawns. Excellent! 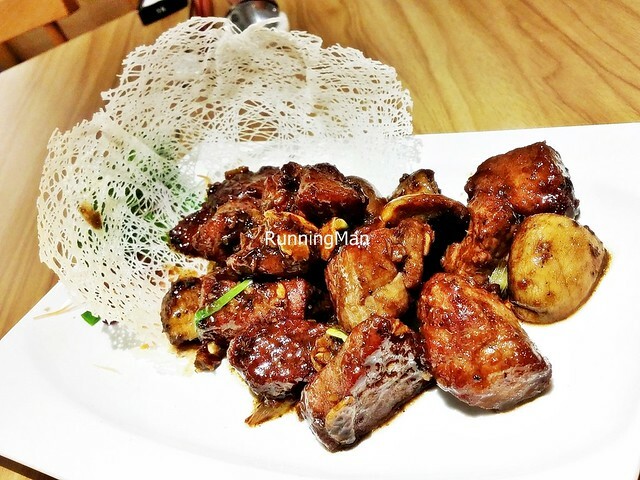 Update Oct-2015: The small chunks of beef in the Stir-Fried Tenderloin Beef Cube With Black Pepper & Red Wine (SGD $24) are savoury, meaty, and incredibly tender, almost melting away in the mouth! Slightly more salty than I prefer, though this pairs really well with rice, which helps to alleviate it somewhat. Still pretty good, worth ordering! 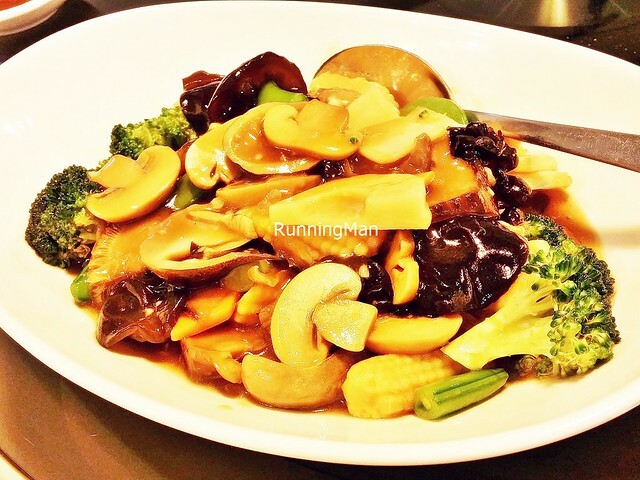 Update Jan-2016: The savoury Braised Superior Vegetable (SGD $16.20) is decently executed, with a good mix of various vegetables, including broccoli, button mushroom, shiitake mushroom, black fungus, baby corn, and bamboo shoots. Alright as a dish, but not particularly outstanding. 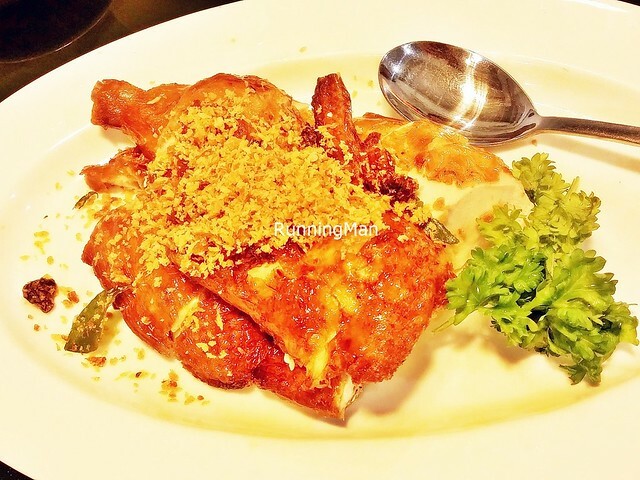 Update Jan-2016: The Roast Chicken With Minced Garlic (SGD $18) is incredibly fragrant, and incredibly tender, with moist, succulent chicken meat. 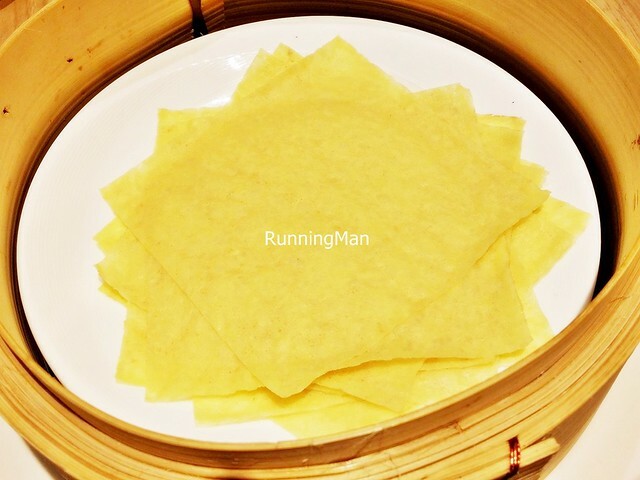 The salty savoury chicken skin isn't too crisp, but is forgivable as the meat itself is excellent. Portion is rather small though, but it's still a good dish. Worth ordering! Team building activity, Colour Blind. Attended with representatives from Fiona Seah, and Little Moments Of My Life. Budget about SGD $70 ++ per person. 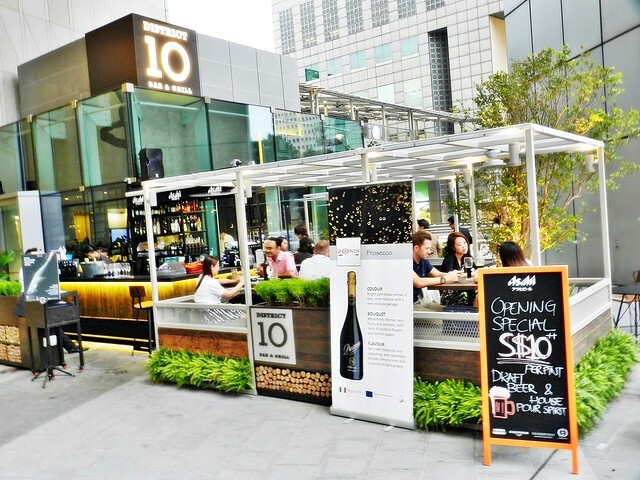 Formed in 2009 and headed up by Italian Chef Luca Pezzera, District 10 is a modern European gastrobar concept, offering in each of their 4 locations a different dining experience, including a bar + fine dining restaurant (UE Square), a tapas bar (The Star Vista), bar + fast food (Clarke Quay), and a bar + grill house (Suntec City). With its diverse range of offerings, tasty food, and attentive service, District 10 is a serious contender in the Singapore wine and dine scene. 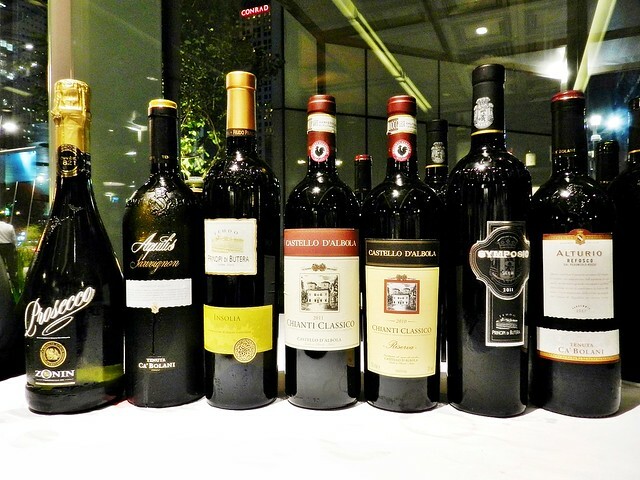 We were invited to a media tasting for District 10 latest range of wines in their newest Suntec City outlet, which opened in September 2015. Ambience at District 10 is classic European style fine dining. 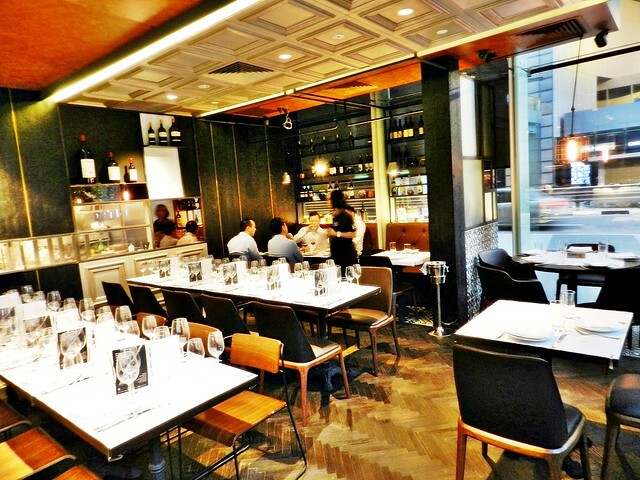 The sleek, dapper restaurant features warm, low ambient lighting, long communal tables, sturdy dark coloured furniture, contrasted by white tablecloths, shiny silverware, and wine glasses gleaming in the light. 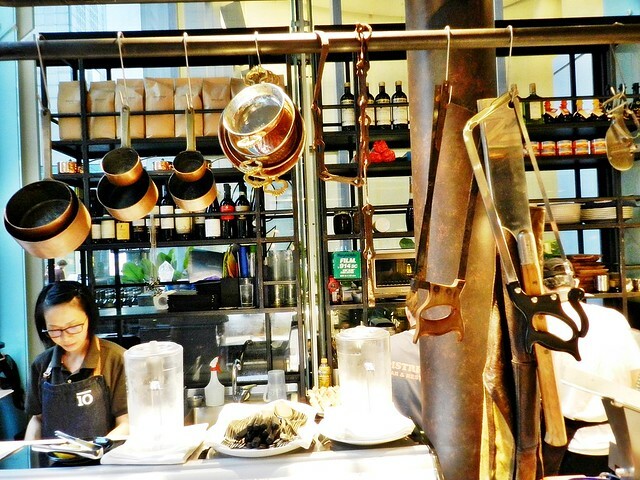 The Suntec City Bar + Grill House has industrial tools hanging in the open, a manly atmosphere especially when chef works on the aged meat! 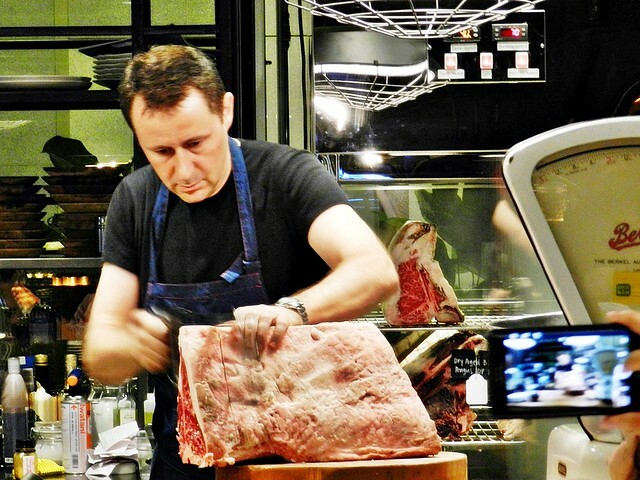 A clear glass panel allows viewing into the kitchen where serious charcoal grilling takes place, and a $22,000 Italian chiller for premium aged meat stands to one side. 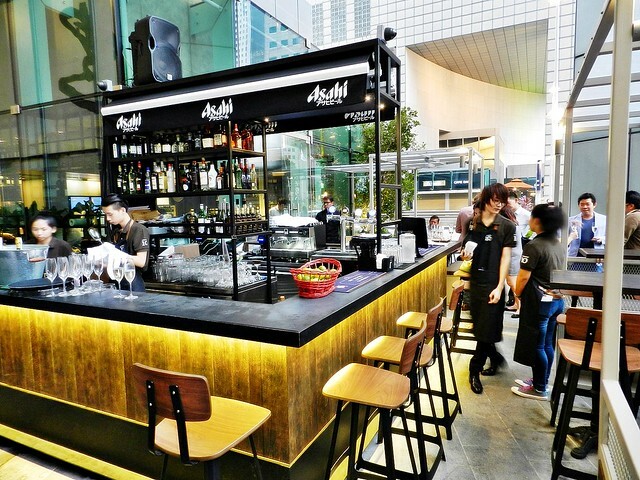 The place is designed by leading architect Warren Liu, and is the 1st location in Suntec City to feature scalable cabana style, broad seat al-fresco dining! 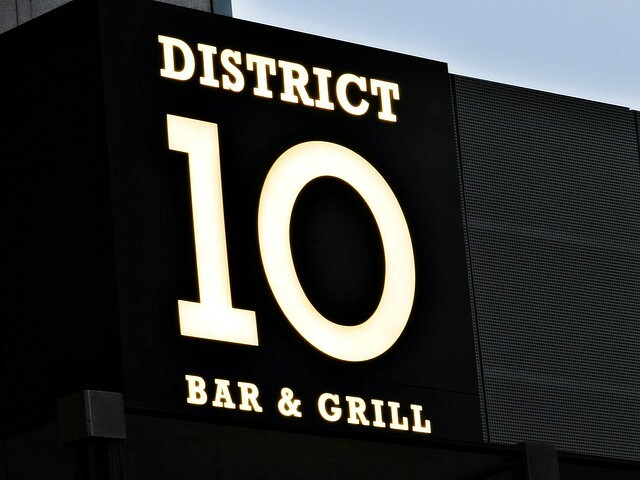 Service at District 10 befits a fine dining establishment. Staff are unobstrusive yet attentive, quietly observing the room, and attending to guests when they beckon. Requests are carried out promptly, with a touch of sophistication and professionalism. I note that staff also come around regularly to clear away empty / dirty plates and glasses, proactively asking diners upon observing that they've finished. I also commend staff on their product knowledge, they're able to provide descriptions for each dish, even off-menu items like the dishes during our tasting, which were created solely for this evening. 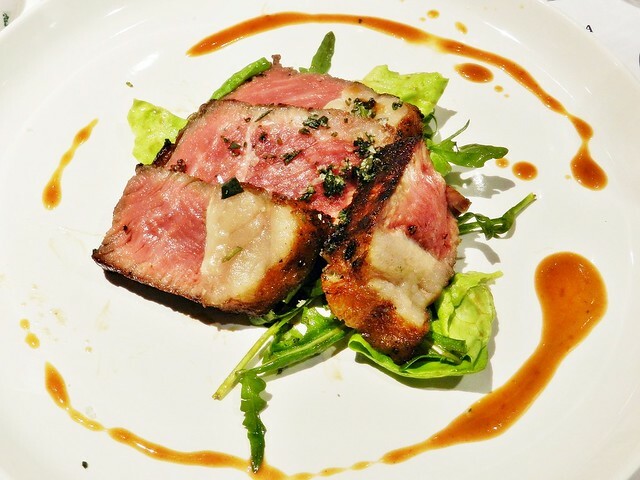 Food at District 10 is distinctly modern Italian, plated artistically. 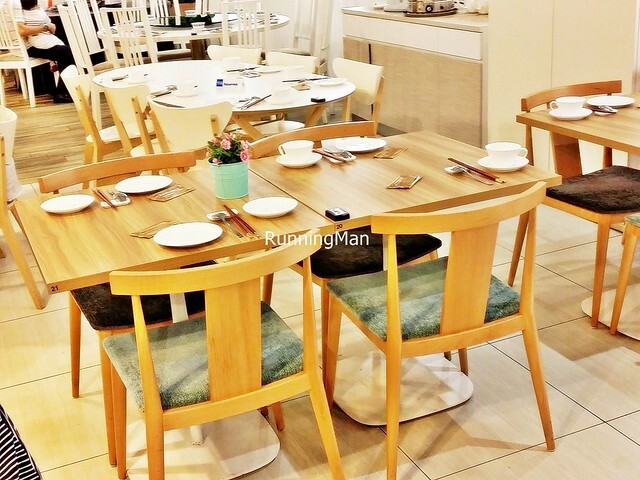 The regular menu at each outlet is small, but varies quite greatly from outlet to outlet, such that dining at a different District 10 outlet can have a totally different menu. 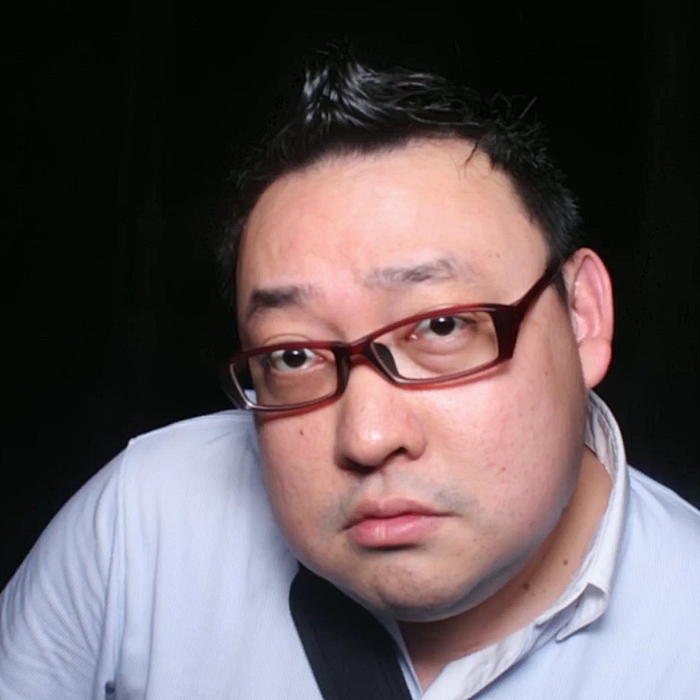 Chef also experiments with Asian fusion flavours, creating seasonal / off-menu dishes to keep things interesting for repeat diners. In general, I find food at District 10 to be of high quality, made with premium ingredients, and prepared carefully, so that flavour of 1 or 2 ingredients stand out on the plate. Portions are large, and prices befit its fine dining status, budget about SGD $70 or so for a 2-course meal with drinks. Speaking to Chef Luca Pezzera, it's evident he is passionate about food, passionate about combining ingredients that delight the senses. 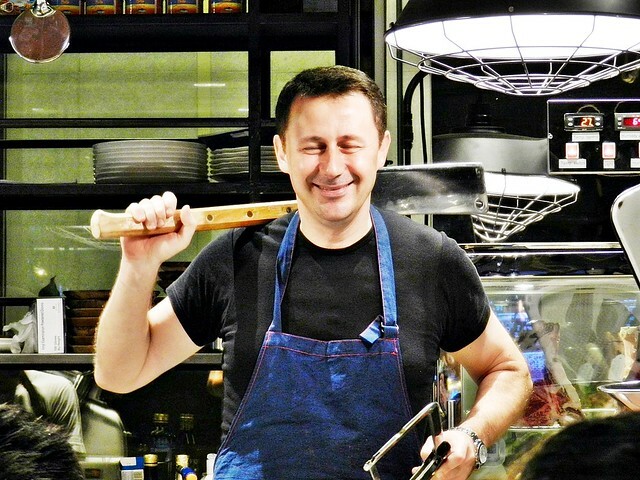 Hailing from Bergamo in Lombardy, North Italy, the award-winning chef brings to bear over 20 years of culinary experience in crafting the dishes at District 10. 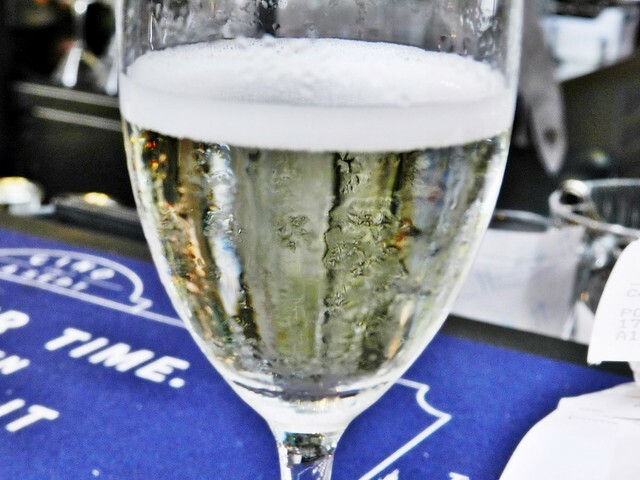 The sparkling Zonin - Prosecco Doc Cuvee 1821 is a prosecco made from glera grapes, and has a pale, straw yellow and subtle green colour. 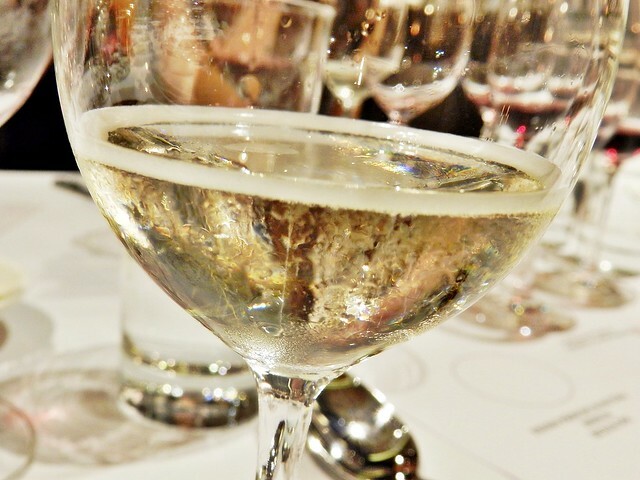 Refined and elegant on the nose, with an aroma of fresh apples. The Zonin - Prosecco Doc Cuvee 1821 is fruity on the palate, with notes of almonds, crisp apples, and citrus, and a fresh but dry finish, with a slight lingering bitterness. Great as a replacement for champagne! 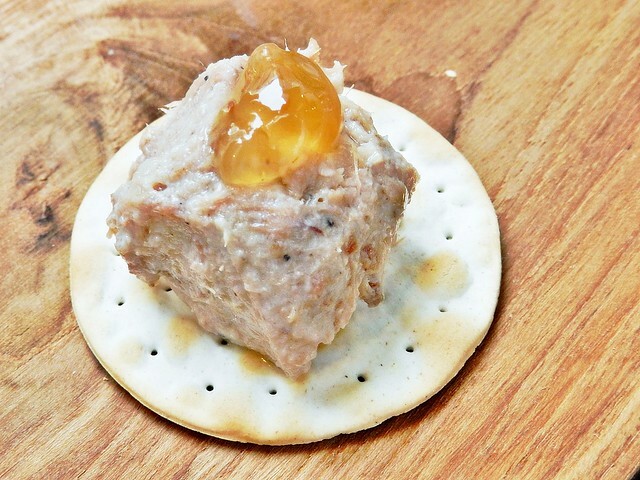 Chef challenged me to identify this; I managed to correctly discern that it's a Crostini With Duck Rillettes And Fig Jam (SGD $16) canape. 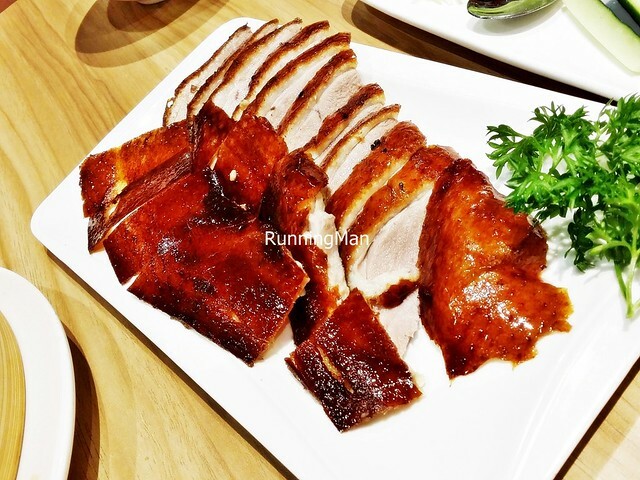 Served cold, the shredded duck has a meaty flavour and moist texture, without any gamey taste. The dollop of fig jam on top lends a slightly tart, fruity, refreshing sweetness. Was pleased with this unique rendition of an Italian Sun-Dried Tomato Bread! 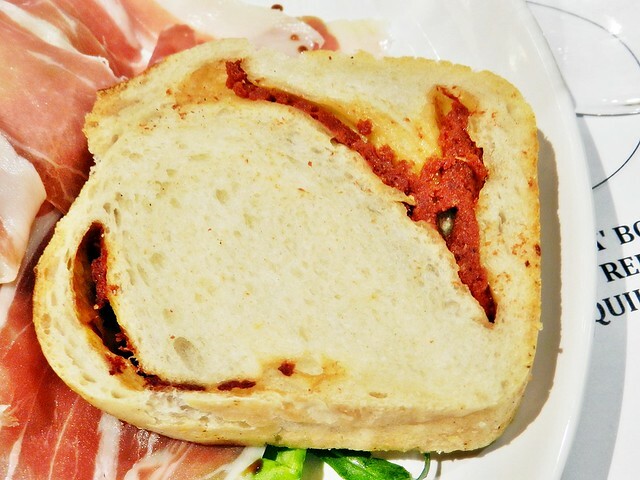 The sun-dried tomato lends a burst of bright, intense flavour, and it's baked directly into 2 angles of the soft, chewy bread. The result is a morsel which teases, not giving the full flavour in every bite, but just enough for the floral tomato flavour to linger. 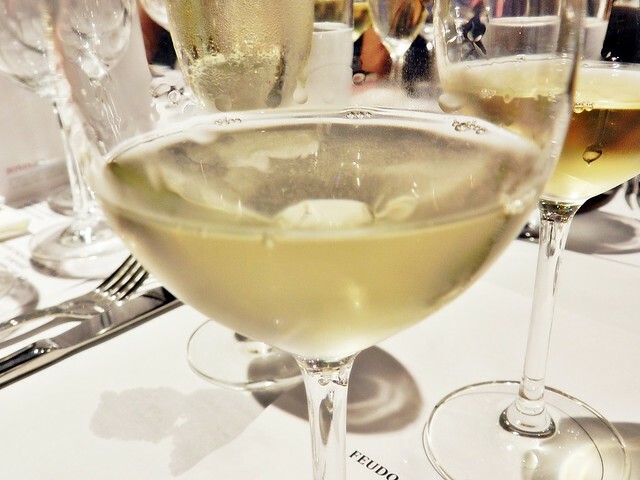 The Tenuta Ca'Bolani - Aquilis Sauvignon is a classic sauvignon blanc made from 100% sauvignon blanc grapes, and has a golden, straw yellow and pale green colour. Fruity, with touches of floral, citrus, and wood on the nose. 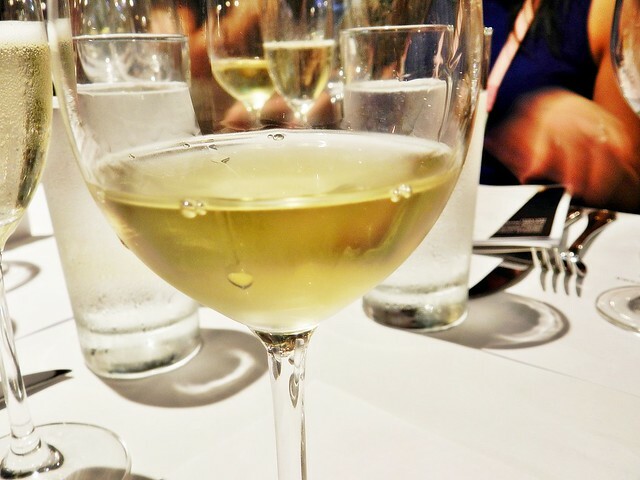 The Tenuta Ca'Bolani - Aquilis Sauvignon is dry and silky with a medium body on the palate, with notes of apples, lemon, and chalk mineral, and a long, refreshing finish, without any bitterness. The Feudo Principi Di Butera - Insolia is an inzolia made from ansonica grapes, and has a pale, straw yellow and tinge of green colour. Aroma of flowers and mineral on the nose, with touches of apples and tangerines. The Feudo Principi Di Butera - Insolia is dry and crisp with a medium body on the palate, with notes of tangerine, apples, almond, and stone mineral, and a long yet crisp finish. The Proscuitto De Parma With San Marzano Tomatoes was excellent, served on a mound of rocket leaves / arugula, topped with a san marzano tomatoes, widely considered by chefs to be the best tomato in the world, due to its intense sweetness that lacks an acidic bite. 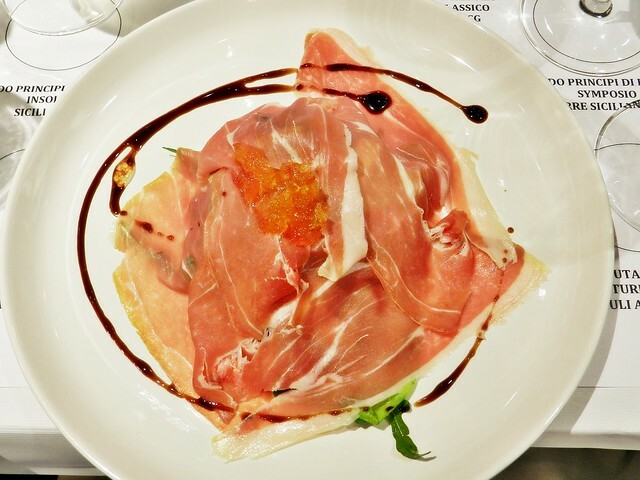 Paired with the savoury, salty, aged Italian proscuitto de parma / dry-cured ham, the combination is delightful, neither flavour overwhelming the other, but co-existing together in harmony. The Castello D'Albola - Chianti Classico is a modified chianti made from 95% sangiovese grapes and 5% canaiolo grapes, with a dark, garnet red colour. Bursting with strawberry aroma on the nose, with notes of sage, clove, oregano, cherry, and earth. The Castello D'Albola - Chianti Classico is vibrant and lively with a medium body on the palate, with notes of cherry, violets, cinnamon, clove, and thyme, and a soft, delicate finish, with polished tannins and little bitterness. The Castello D'Albola - Chianti Classico Riserva is a longer-aged chianti made from 100% sangiovese grapes, with a ruby red and tinge of orange colour. There is a complex yet subtle aroma of berries and fruit on the nose, with notes of violet, cinnamon, clove, wood, and earth. 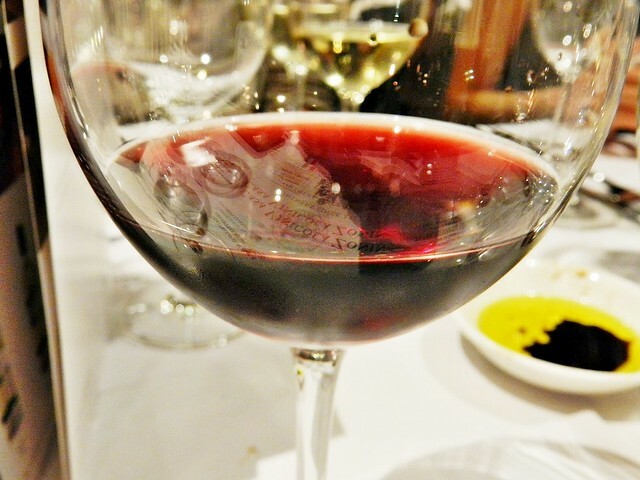 The Castello D'Albola - Chianti Classico Riserva is smooth and rich with a full body on the palate, with notes of strawberry, blackberry, cherry, rhubarb, basil, tarragon, sage, and chalk mineral, and a long, deep finish, with robust tannins. 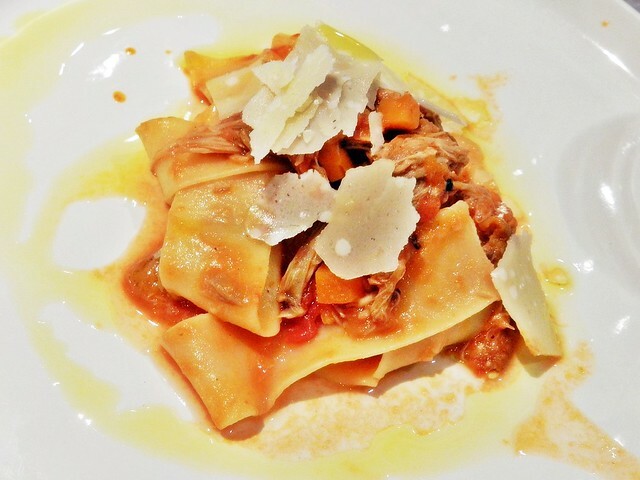 The Pappardelle With Duck Ragout features wide, thin, home made pappardelle pasta, in a savoury sweet tomato gravy with shredded duck. The duck is relatively tender with a slight chew, and I like that it doesn't have any gamey taste. A hearty, robust, decent dish, straight forward in taste. It was incredibly filling! However, I did think the gravy was a little more watery than it should be. The Feudo Principi Di Butera - Symposio is a unique and complex blended wine, made from 65% cabernet sauvignon grapes, 30% merlot grapes, 5% petit verdot grapes, with a deep violet purple and dark scarlet colour. 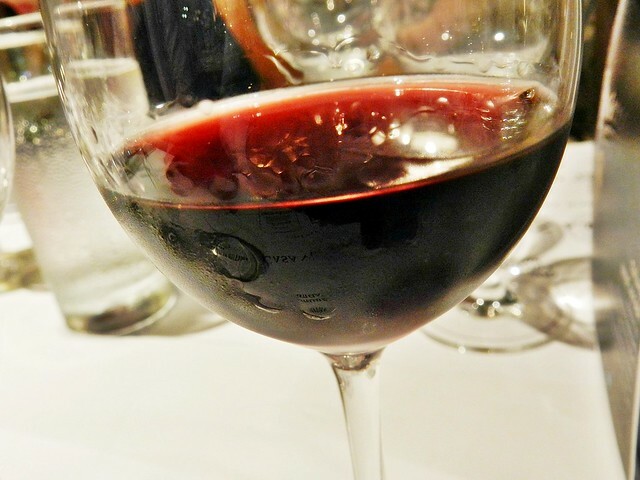 The aroma is of blackberries, cherry, mushroom, and plum on the nose, with a tinge of orange. The Feudo Principi Di Butera - Symposio is elegant and rich on the palate, with notes of leather, barbecue, chocolate, tobacco, star anise, and cumin, and a long, silky finish that lingers. 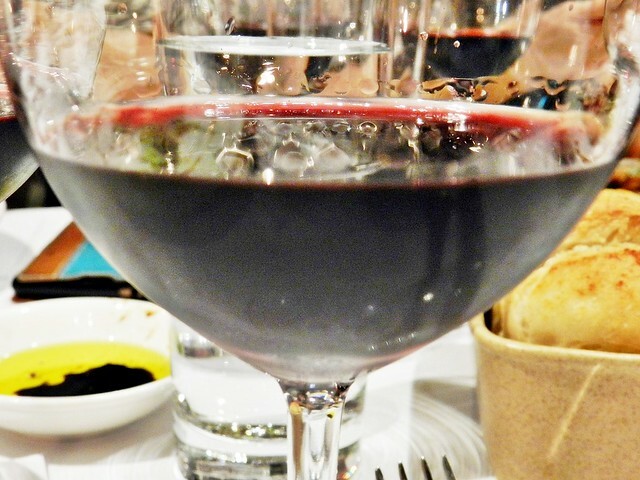 The Tenuta Ca'Bolani - Alturio Refosco is a refosco made from 100% refosco dal peduncolo rosso grapes, with a dark scarlet purple, nearly opaque colour. The scent on the nose is of cherry and plum, with notes of jasmine, blackberries, chocolate, and thyme. 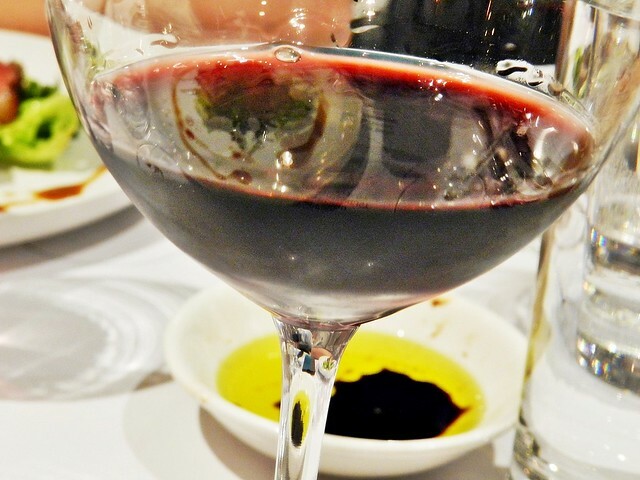 The Tenuta Ca'Bolani - Alturio Refosco is dry, robust, and harmonious with a medium body on the palate, with notes of cranberry, coffee, roast, and oak, and a long, mineral driven finish, with big, bold, chewy tannins. The Grilled Black Angus OP Beef Ribs With Rosemary Sea Salt & Rosemary Glaze (SGD $20 / 100g) was, for me, the best dish I had this evening. 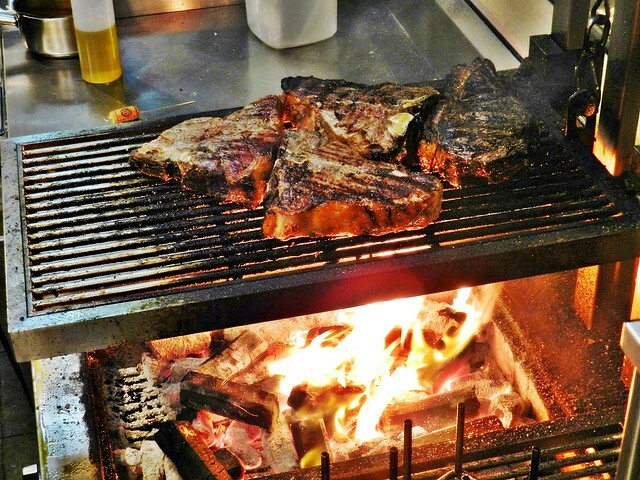 The charcoal grilled, dry-aged beef is a carnivore's delight, savoury, salty, meaty / beefy, deep and robust in flavour. 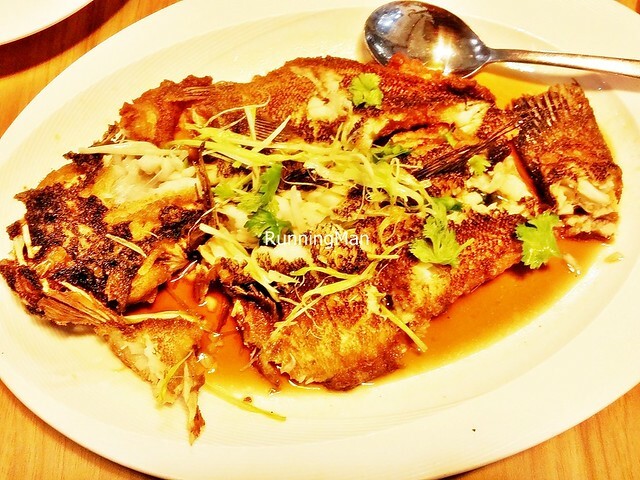 You get a hint of the smoky char, the tasty fat, the spice kick of salt and pepper, the fragrant aroma of rosemary. Served on rocket leaves / arugula and lettuce, with a decent rosemary glaze on the side, though I felt it wasn't needed as the beef was good enough on its own. 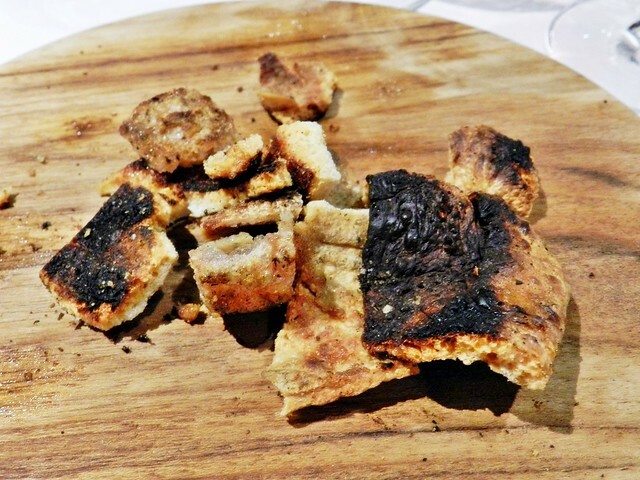 The Pork Crackling was incredibly salty! This would have been great with beer, but not so good with wine. Too over-seasoned for my liking, which made it difficult to eat more than 1 piece. The Zonin - Moscato is a classic moscato made from 100% muscat blanc à petits grains grapes, also known as moscato bianco grapes, with a straw yellow colour with golden reflections. Fruity and inviting on the nose, with notes of peach, mango, apricot, and lemon. The Zonin - Moscato is fresh and delicately sweet on the palate, with notes of musk, passionfruit, nectarine, underbrush, and pear, and a spritzy, effervescence finish, with a hint of lingering sweetness. By itself, the Wild Berries Tart With Creme Fraiche & Vanilla Sauce (SGD $12) is sharp and sour in taste, and quite difficult to eat. 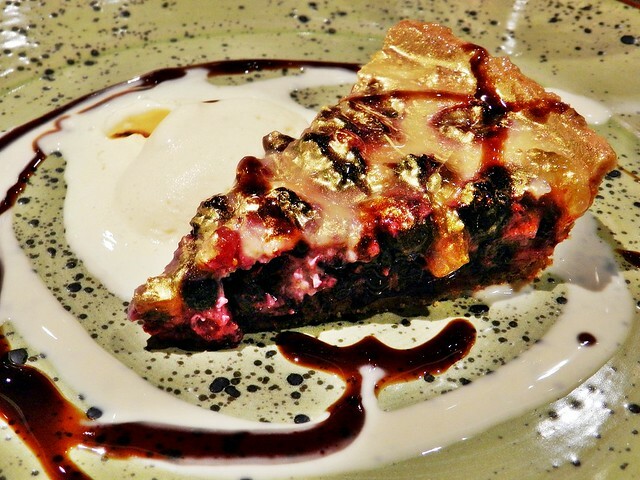 But when paired with a sweet dessert wine, or ice cream, this creative and beautiful dessert (with a touch of gold leaf) becomes a lot more palatable and pleasant. The pastry tart base is nicely crumbly in texture but not too buttery in taste, while the sour blueberries within the tart means eating small bites is recommended. 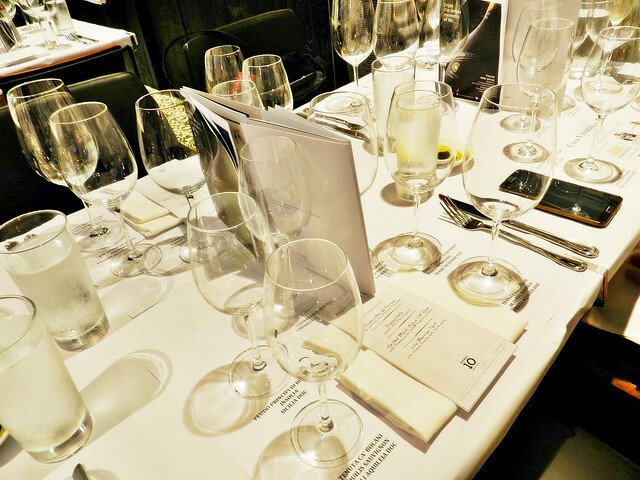 Had great fun sampling the new range of Zonin Wines in District 10, paired with the purposefully crafted tasting menu to showcase how each wine matches with food. Overall, District 10 is worth visiting for its high quality, consistently good food, carefully prepared with premium ingredients. With a chef who knows how to match food and wine, an intimate ambience, and attentive service, District 10 promises a memorable dining experience. Such an experience though, doesn't come cheap, so be prepared to splurge when dining here.